A recent study says that a genetic change suddenly arose in the primate family tree about about 280,000 years ago. 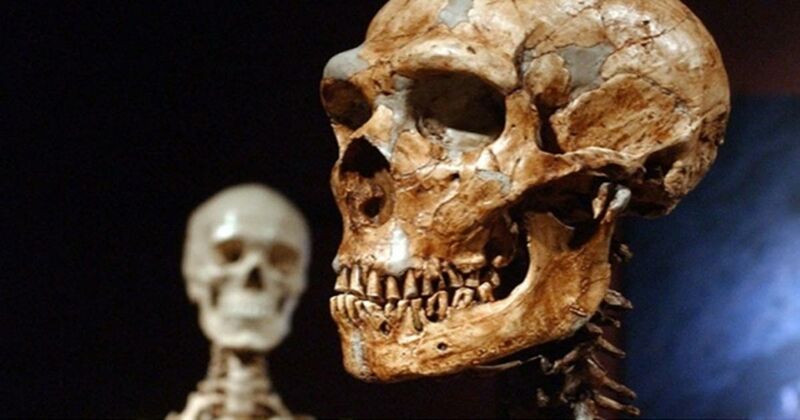 The researchers claim it is responsible for the largest genetic difference between humans and Neanderthals. The unique genetic structure also is believed to predispose humans to autism. The genetic alteration is said to have arose approximately 80,000 years before Homo sapiens showed up in the fossil record. Evan Eichler, co-author of the current study, a professor of genome sciences, and an investigator of the Howard Hughes Medical Institute says that "Most duplications in our genome are millions of years old, and the speed at which this structure transformed our genome is unprecedented. The wide and rapid distribution of these copy-number variants suggests the genes within the repetitive sections confer benefit that outweigh the disadvantages that come with the increased risk of autism in some offspring, should deletion occur." The benefit in this case may be a gene called BOLA2, which forms a complex with another protein (glutaredoxin 3). The combination reportedly allows cells to capture iron more efficiently and make it accessible to proteins. “This ability to help humans to acquire and use this essential element early in life might confer a significant enough benefit to outweigh the risk of having some offspring with autism,” Eichler said . The researchers believe that this could have made the Neanderthals more susceptible to smoke-related respiratory infections, fertility problems, and mortality. But this doesn’t mean that smoke was necessarily the undoing of the Neanderthals. Looking at the differences in the skulls, I am wondering if Neanderthal females had more difficulty in childbirth and if that affected their survival rate. Their skulls are much bigger and there are no obvious ‘suture’ marks that human skulls have. The human skull is made in such a way that they are soft and not intact in infancy, allowing easier movement through the birth canal and less strain on the mother and baby. I am not an expert, by any means, but still wonder what birth was like for Neanderthals. Clearly the Neanderthals gave us more than just diseases they gave us the white skin and the blue eyes.